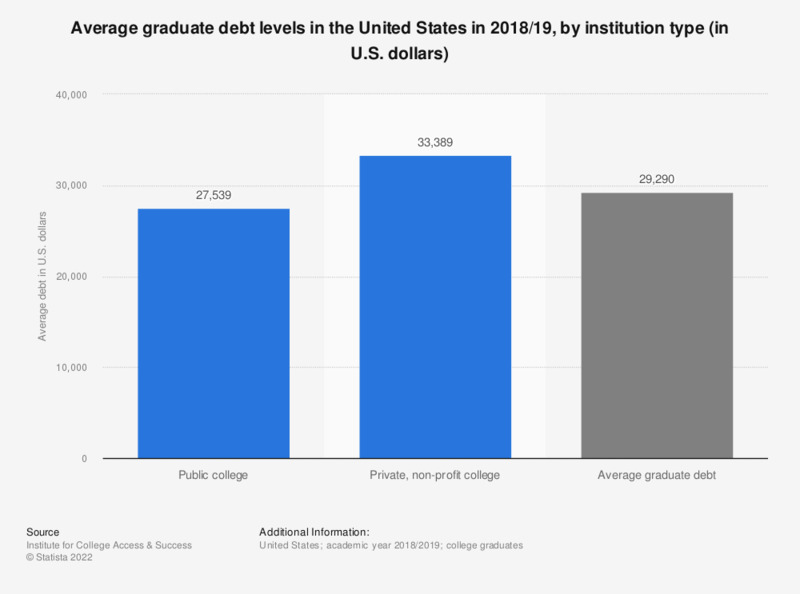 This statistic shows the average debt of university graduates in the United States for the academic year 2016/17, distinguished by institution type. In 2016/17, graduate students from public colleges in the United States had an average debt of 27,293 U.S. dollars. Data for Private (For-Profit) institutions are not available. Statistics on "Higher education graduation in the U.S."
Which of the following best describes what happened to you after graduating from college? How well did your university education prepare you for the following?